Coming to you with the ability to choose the electronics that you want, the Axial Racing Yeti XL kit is ready for you to plug in your favourite 1/8 scale brushless 4-pole system. AR have also included a rear sway bar (medium, 3.4mm), 3mm aluminum lower link plates, aluminum 17mm hex hubs and nuts, adjustable steel turnbuckles, and officially licensed 3.8 Falken WildPeak M/T tires in their S30 compound. Axial racing have released details of their new rock racer kit, which really was going to happen at some stage for the 1:10 Yeti. Details below of what the kit includes. 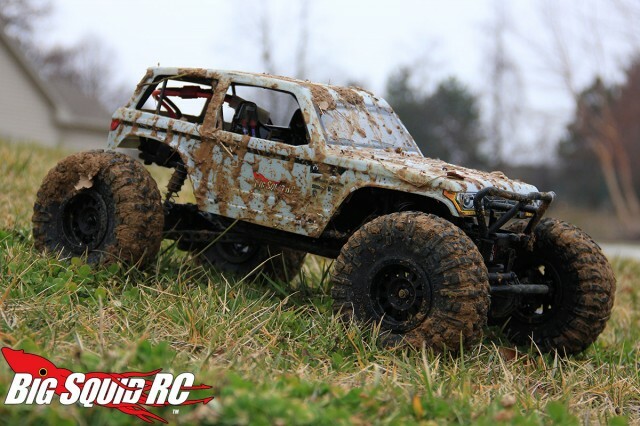 Axial have released a new version of the Wraith, this time featuring a fully enclosed body on the slightly unfortunately named Spawn. Perhaps they were thinking of the comic book anti-hero of the same name? Axial Racing posted an interesting guide yesterday titled “The truth about waterproof” walking about the claims by many manufacturers about their equipment that is waterproof. Now the crawlers amongst you who have rigs that can survive full immersion in creeks, rivers and lake know exactly how much work and maintenance it takes to make, and keep, a vehicle truly waterproof. I know it’s kinda odd to post a review of a vehicle before the release details, but sometimes that is the way it goes with Axial Racing. Whilst i”m not sold on the rock racer vs rock crawler thing, I have to say the sheer size of this unit appeals. 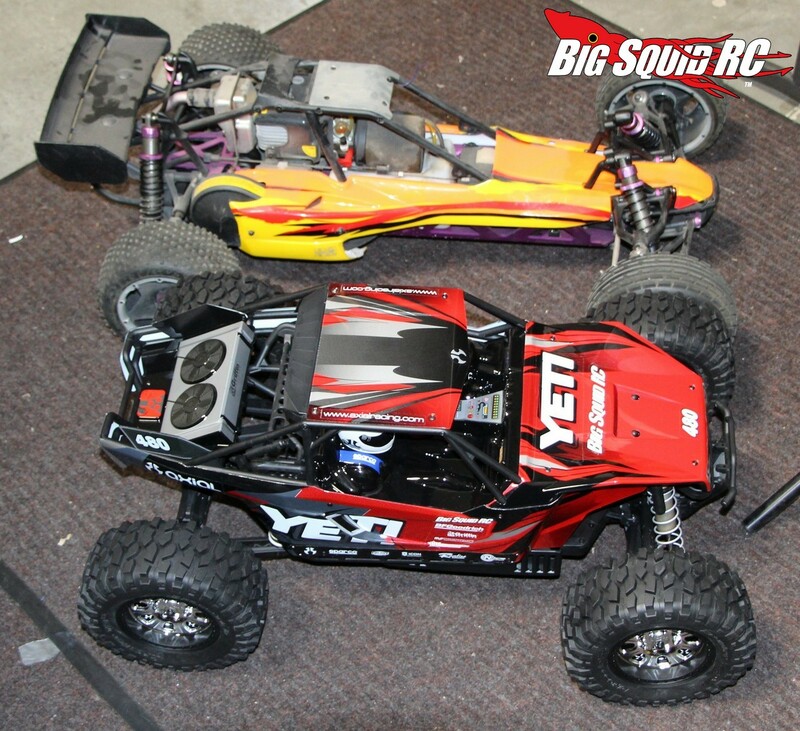 So, the AX90032 Yeti XL™ Monster Buggy 1/8th Scale Electric 4WD – RTR is one BIG R/C car. While they are calling it 1:8, it’s nearly the size of a 1:5 HPI Baja. RRP is listed as $700, so i’m not sure how that will translate here in Australia with the Aussie Dollar falling somewhat of late. he Axial Yeti XL™ Monster Buggy; a new category, a new frontier, a new dimension. From the beginning of the concept through the design phase, we drew upon our brand philosophy to develop and deliver something different to the R/C monster truck arena. Monster trucks are known for bashability, so we jumped head first into the segment by creating a vehicle with insane brushless power along with features that would allow it to withstand the abuse that comes with the territory. From the outset, the goal of maintaining brand heritage was a priority. Our research and development team took those traits and attributes, mixed them with the Axial design ethos which is heavily rooted in full size rock racing, and developed what could be considered the next level in R/C monster truck design. The Yeti XL™ is powered by a Castle Creations 2200KV 4-pole Vanguard XL brushless motor and it’s equipped with the industry’s first 8th scale solid rear axle with an independent front suspension [IFS] chassis system. Everything’s kept under control by massive 20mm aluminum shock bodies that house Big Bore 16™ (16mm) pistons on beefy 4mm shock shafts which help maintain high speed stability when running through a wide variety of terrain. With this, we have yet again skirted the mainstream and delivered a vehicle that falls into it’s own niche, the Monster Buggy. Don’t get too excited, I haven’t got one to play with, but the boys at Big Squid RC have, and they seem to like it. What is it? Basically a 5th scale Yeti, A monster sized off road rock racer. It is very nearly the size of a HPI Baja 5B, but taller (as you can see below).